With the current recession in Nigeria, our money must not waste!!! This period every kobo counts because in spite of the increase in the price of every single product and service out there, our salaries still remain the same! Obviously, the services we render in the workplace is not affected by the devaluation of the naira. I'm no economist (unless you want to include home economics) but I think that if the value of naira drops against the dollar leading to the increase in the prices food stuff and basic commodities, salaries should be increased too. For example, the minimum wage is N18,000. At an exchange rate of $1=N180 , it means the minimum wage is $100, abi? Oya let's say $1=N500, it stands to reason that the minimum wage should be adjusted to N50,000 so we still have a minimum wage of $100. If the prices of the goods and services needed for workers to survive makes that adjustment, why should our salaries remain the same???? Back to the topic sha, money is scarce but as a proper Nigerian, that doesn't mean I should look miserable even if I feel miserable! 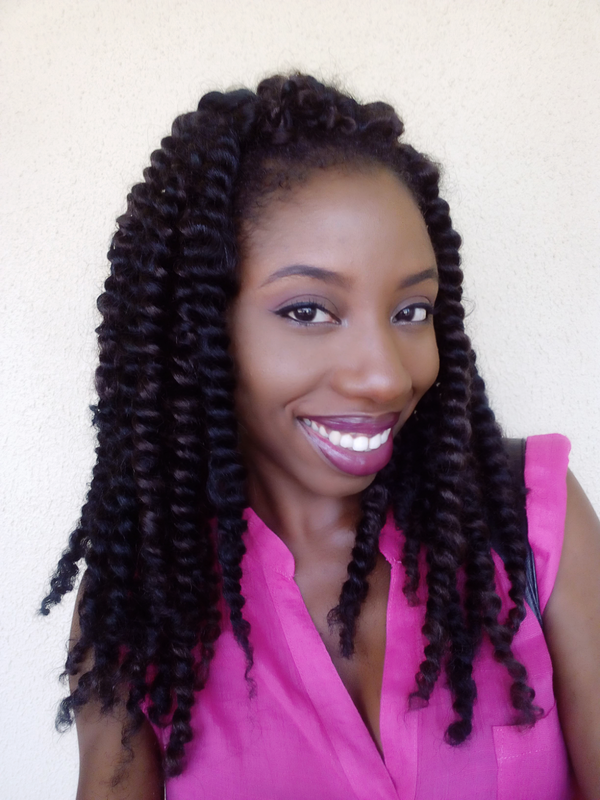 You see, I "must to do" Crochet Mambo Twist because .....Instagram natural hair vixens! Those chicks won't just let the green monster go on vacation....oh wait, I forgot. It can't afford a vacation right now! Alas, the spirit is willing but the money is scarce. .....and yipee, my waka was not in vain! I found this Freedom Mambo Twists for just N1200 a pack. I used 3 packs which set me back N3600. If you'd like a fuller look, you'll need 4-5 packs (N4800- N6000). Please compare with the cost of Janet Noire Havana Mambo Twists at N3000 per pack and calculate how much you just saved!!! I prefer this brand because unlike the other cheaper crochet twist hair ...Naomi Boom (N700)....this one is softer and lighter. I wanted my twists to look more natural and less perfect so I opened up the twists and loosely retwisted. You don't have to do this though. My crochet braid pattern is the same one I used for these (also budget friendly) crochet braid curls. Satin Bonnet at night. I don't oil synthetic hair because I find it makes it feel harder and because the synthetic hair can't absorb the oil, I risk breaking out with the accumulated oil and dirt. Cut off twists and remove knots. Loosen foundation braids, fingerdetangle hair with loads of conditioner, cover with shower cap for 15 mins and wash as usual. Hope this post has been useful to naturalistas on a budget! Do share your budget hacks! 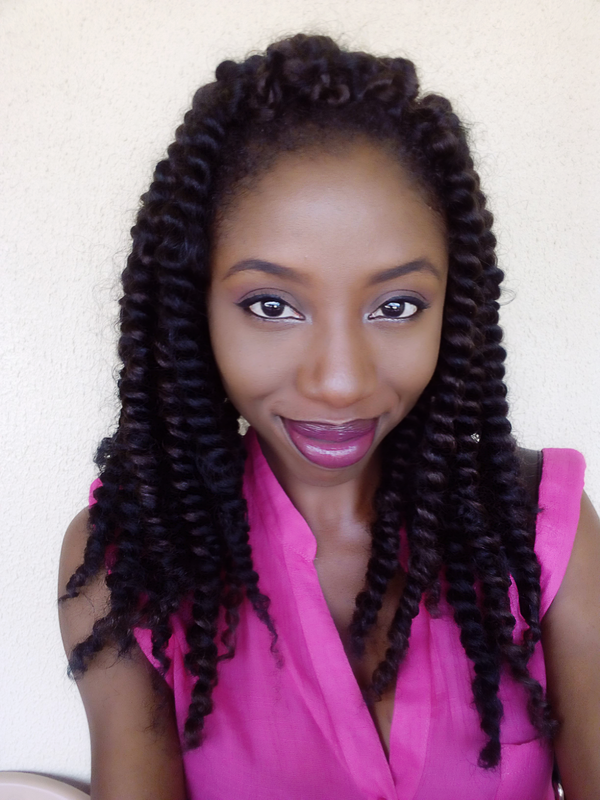 I think I'm the only person who hasn't tried crochet mambo twists yet. There's a cheaper one though. I think it's called Darling Crochet twists. 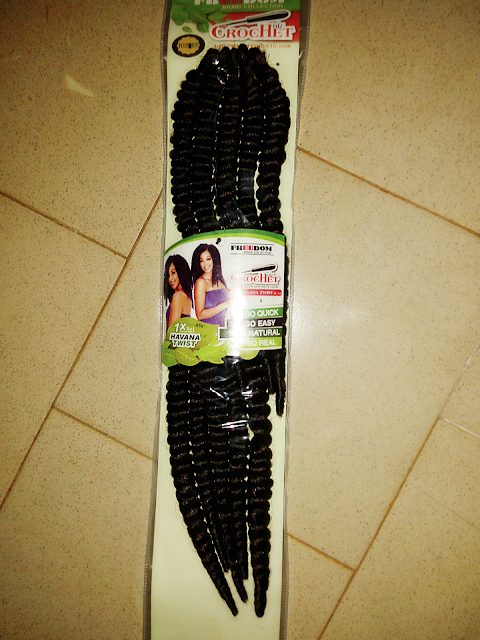 They're way more in a pack(about the number of twists in a pack of Naomi Boom) and I saw it N1,100 in the market. I saw it N1,300 somewhere else in that same market though. So lovely... Since the emergence of crotchet, I hardly ever sit to braid my hair any more.